I’ve always been drawn to interesting contrasts and textures. 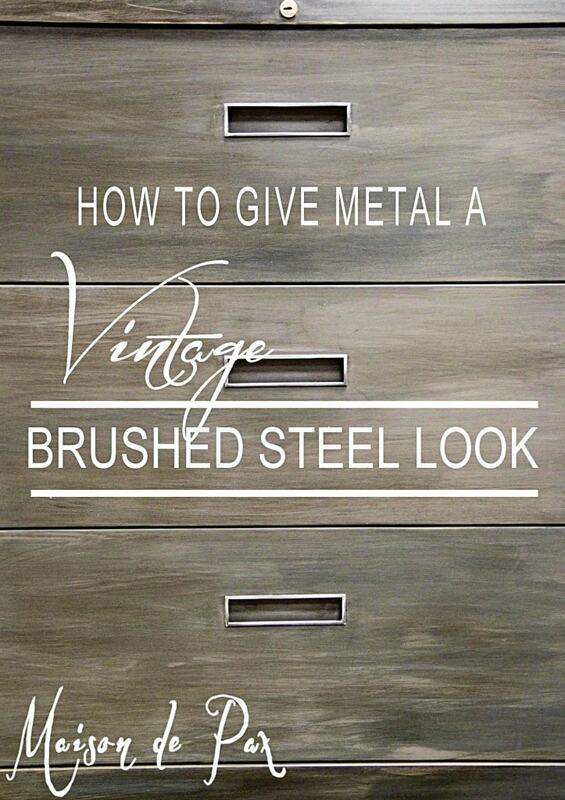 To a mix of highs and lows – with plenty of patina thrown in. And this project is no exception. Remember those industrial spools I snagged? We made a table out of one (remember this? 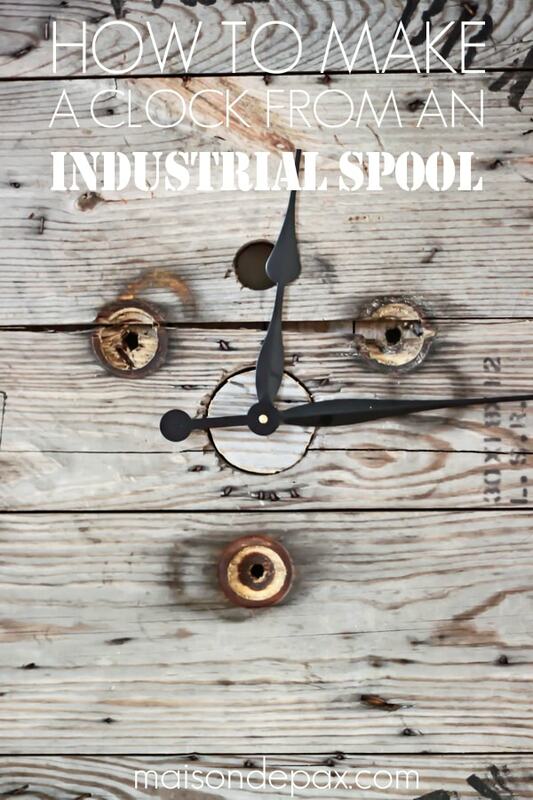 ), and now here is number two: an industrial spool clock. Fortunately, it’s easy to make a clock from an industrial spool. Simply remove the bolts (use oil to help loosen them) and take the spool apart, giving you your clock face (two, actually). Next, cut a small circle (we used a jigsaw to do so, purposefully making it a very rough cut) to fill the hole in the center of the face. We used a scrap from the side of the dismantled spool so it would match. Measure the thickness of that circle and purchase a high torque mechanism and hands (something like this *). Be sure to order the appropriate mechanism for the thickness of your centerpiece. Drill a hole in the center of your circle, then hammer it into place in the center of the face (that’s why we made it a rough cut, so it would fit snugly into the hole). Attach the hands and mechanism according to manufacturer’s instructions. 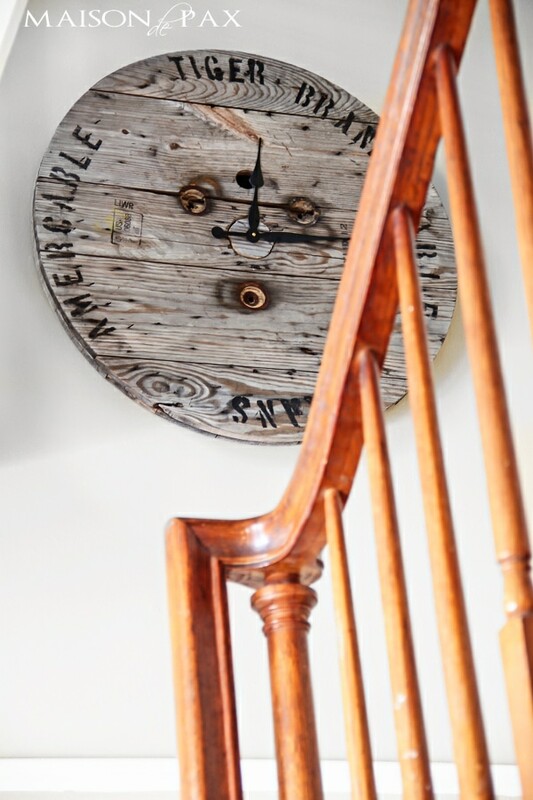 I love how the elegant, curvy clock hands contrast the rough, weathered wood. 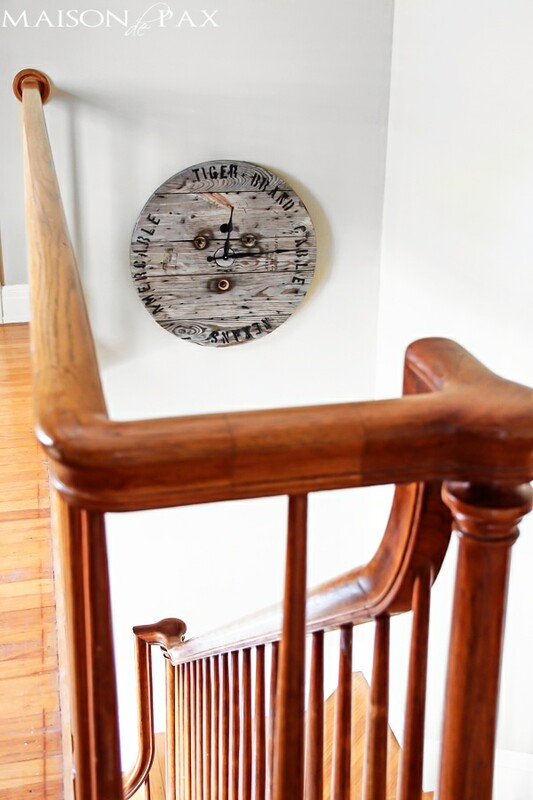 We hung it in our stairwell (a perfect big-impact piece!). What do you think? 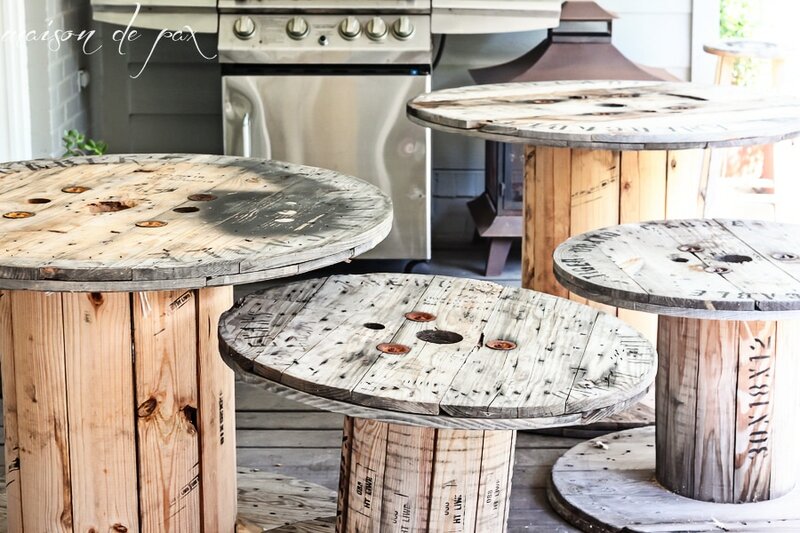 Do you like the contrast of tailored and rustic? Rachel, I LOVE it! 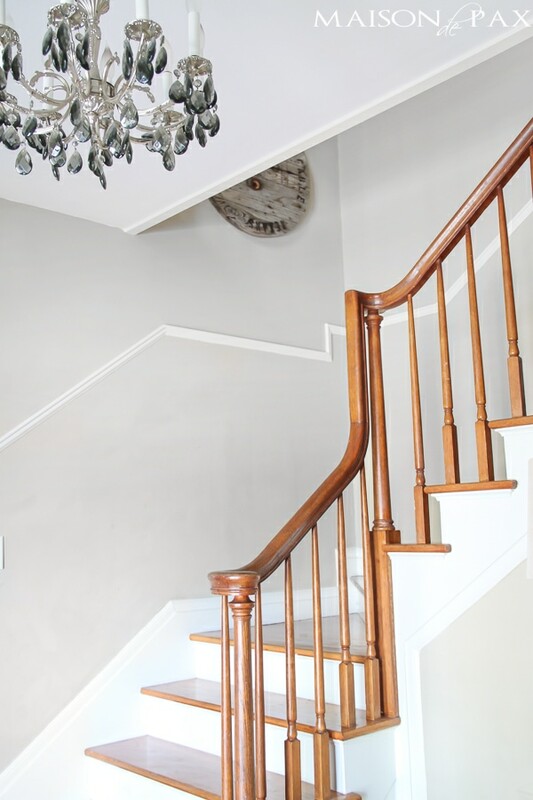 It’s perfect where you hung it. SO gorgeous Rachel!!! 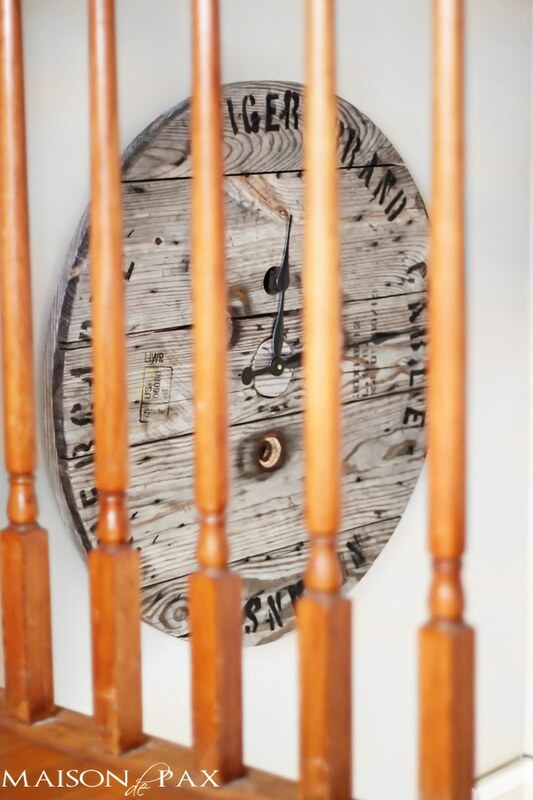 Between the wording, the planked wood and the weathered look, there’s just a ton of character in this piece! It’s absolutely perfect!!! Thank you so much, Kristi!! I’m so glad you like it! 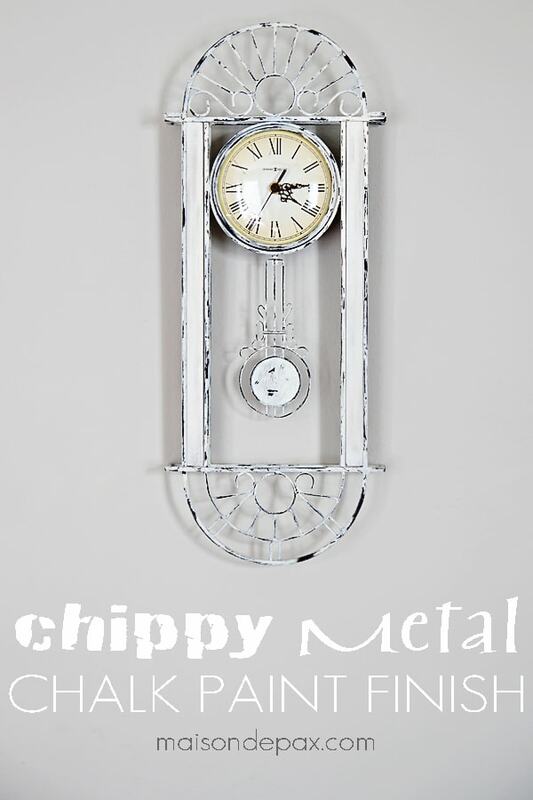 Oh,i love your clock it is wonderful. What a great idea,and thanks for sharing. Have a great day. You’re so kind, Marlene. Thank you! 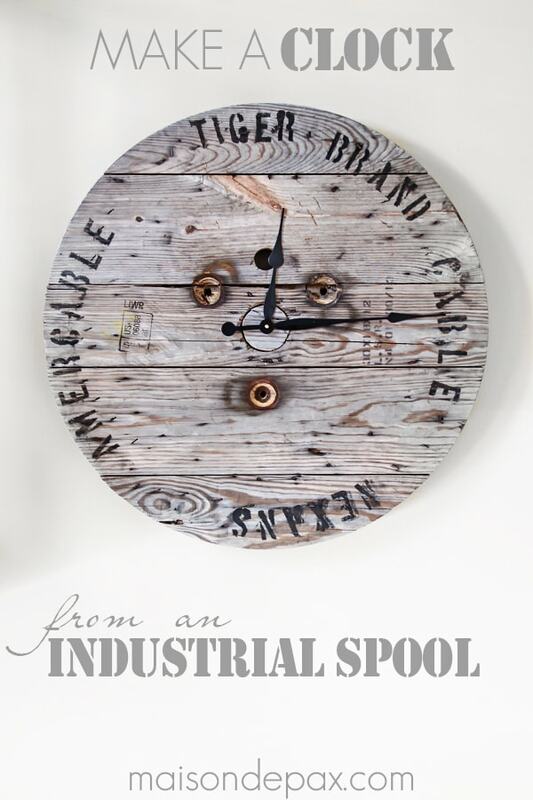 I just absolutely love this and would love to find my own industrial spool. 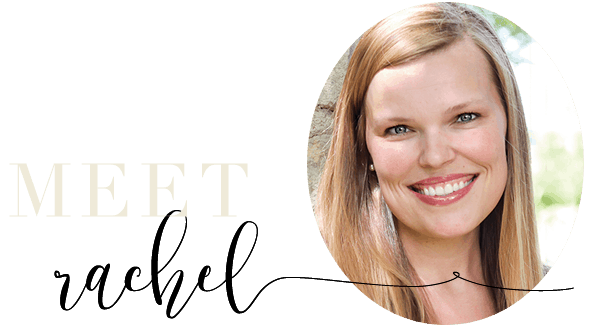 Love this, Rachel!! Sharing on my FB page today 😉 Now where did you get those spools?? I totally love this…want to try it. I just might have to add some color (surprise?) to my version but I think yours looks stunning in your home!! Ha! Amazing, Lauren!! I also taught 9-11 for five years before our first was born. Too funny! This is such a cool idea, Rachel. I love it! 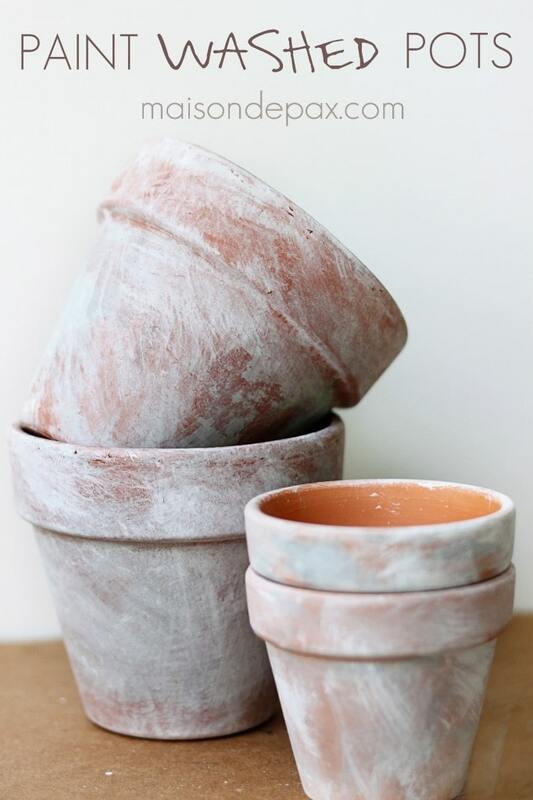 I’ll be featuring your project at The Scoop this Monday night. Thank you for linking up! 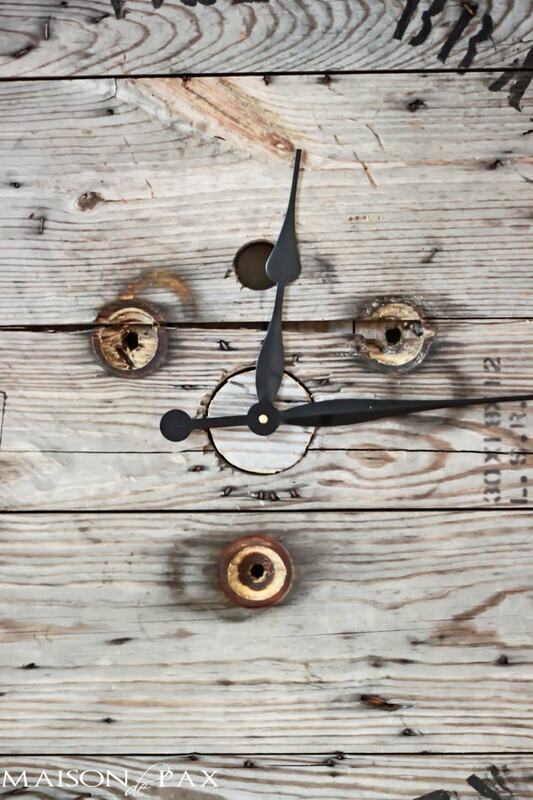 Love your clock…where were you able to find a clock mechanism with hands that long? Thanks, Beth! We actually ordered our from klockit.com because they had a mechanism shaft that happened to be the right length for the thickness of our face. Our are 12″ hands (measuring from the center of the dial to the end of the minute hand), but you can find up to 17.75″ hands on Amazon. Hope this helps! How did you hang it? I have a large spool we just took apart and it is HEAVY!!! It is! We drilled into the back with eye hooks and used extra heavy picture hanger wire. Then my husband used two large screws, directly into the studs. I hope this helps! Hi Sharon, I’m sorry you’re having a tough time with it! You do have to get a mechanism with the right depth. My spool (and most are, I believe) is two boards deep. The scrap I used was just one board. My mechanism fit entirely into the circle, so I only had to worry about the depth of the piece I used to plug the cirlce. To determine the right size clock mechanism, I measured the depth of that scrap piece. I think (but it’s been a while!) it was 3/4″ deep. I hope this helps! Here is a picture, too. did you put any finish on the spool? i have a large sppol and a small one and i am struggling what finish to put on it,or to seal at all. I didn’t. I cleaned it up a bit and just left it as is. I hope this helps!